For students who don't feel comfortable with group classes, or would prefer more personal attention, or need help bringing their dancing to the next level Maria offers private instruction. Pricing for 1- hour lesson at Maria's home studio in Santa Clara is $60 ($50 if currently enrolled in group classes as well). Semi-private lesson (2 people) is $80 ($75 if currently enrolled in group classes as well). 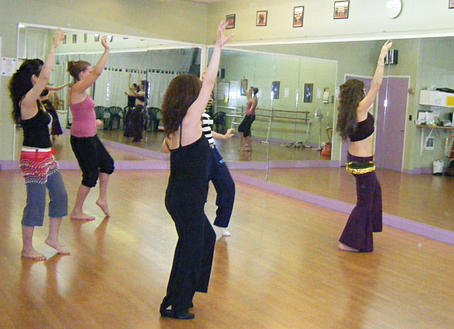 If you prefer to have private lessons at your residence or at a dance studio - contact Maria for rates and info. Semi-private and small group lessons are available. Weekdays daytime lessons are available.